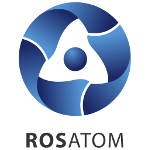 A Project Development Agreement has been executed between Jordan Atomic Energy Commission and Rosatom Overseas to enable the parties to conduct a joint feasibility study for a Russian-designed small modular reactor (SMR) construction project in Jordan, Rosatom states. “Potential project to construct SMR-type NPP seems more relevant and more needed, so we would like to focus on it”, said Dr. Khaled Toukan, Chairman of the Jordan Atomic Energy Commission. “We are certain that the projects we implement have to meet current strategic needs and interests of our customers. This is exactly why we, together with our Jordanian partners, have decided to focus our cooperation on enhancing SMR technology projects based on Rosatom’s innovative solutions”, – Evgeny Pakermanov, President of JSC Rusatom Overseas responded. At the end of May Jordanian media reported that the government decided to scrap the two VVER-1000 units construction project because of its high cost which rose due to lack of water. SMR nuclear plants could be the decision to meet the country’s demand for national electricity generation. Rosatom has built floating NPP – Akademic Lomonosov. It will become the world’s unique reference project for nuclear power plants of this type.